Doha, QAT, is the epitome of a modern city, full of gleaming towers of steel and glass. 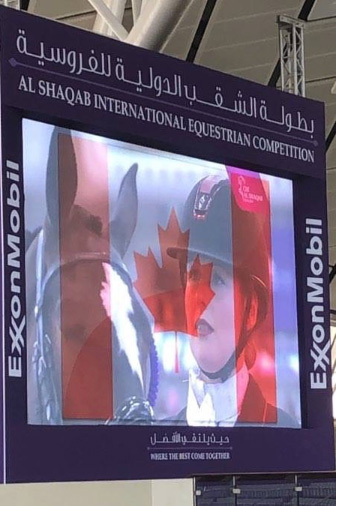 Adding to the city’s brilliance from March 7-9, 2019, was Canadian Paralympian Roberta Sheffield, who dazzled the crowd with her 10-year-old mare, Fairuza (“Wonky”), during the CHI Al Shaqab CPEDI 3*. Sheffield is no stranger to international competition, having traveled from her home base in Lincolnshire, GBR, to horse shows across four continents. While Sheffield may be used to the jet-setting lifestyle, Wonky is slightly less worldly: she was only started under saddle three years ago, and had never previously stepped a hoof outside of the English border. Despite some initial concerns, Wonky passed her traveling test with flying colours. The new experiences didn’t stop there for Wonky, as each of the 980,000 square metres of the state-of-the-art Al Shaqab equestrian centre was filled with stimuli. Even for Sheffield, who had competed there in 2015 with her 2016 Rio Olympic Games partner, Double Agent, the atmosphere was larger than life. Surrounded by a tidal wave of unfamiliar sights and sounds, Sheffield and Wonky had a bit of a rocky start in the CPEDI 3* Grade III Team Competition on March 7, but regained composure to finish third in the following day’s Individual Competition. By March 9, they were back in the swing of things and ready to rock the Freestyle. 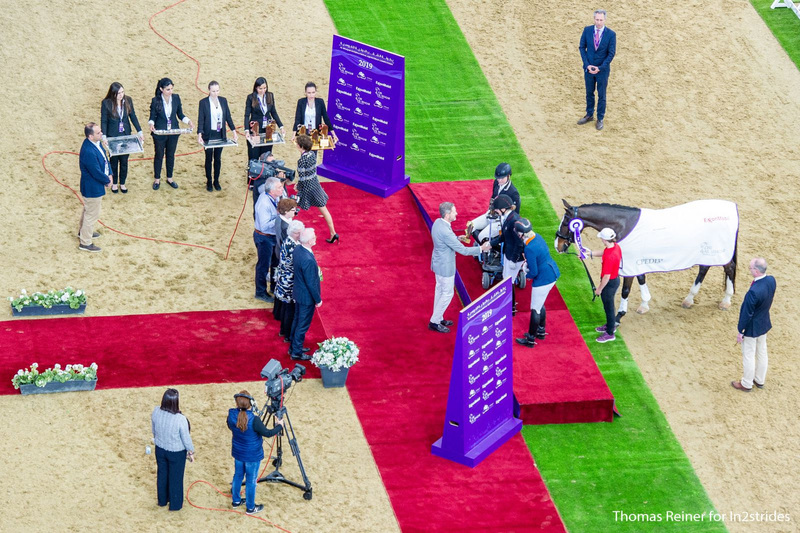 Sheffield and Fairuza adjusted to the bright lights of the Al Shaqab equestrian centre and won the Grade III Freestyle on March 9.